A lady I got acquainted with from my previous work dropped by to meet up with me yesterday. Naturally, 1 reason was to pitch for our account, and secondly, to kinda catch up from where we left off months ago. With her chatty and bubbly personality, she’s someone I’d definitely remember from then, and is someone comfortable enough to strike a conversation with like an old gal pal. Having spoken to her over the phone a few times prior to our meetup yesterday, she always gave me the “nice, old friend” feel. Naturally, it was easy to hold a conversation peppered with names of past common people we know between us. But after our meeting, I actually harboured some ill thoughts (probably I’m guilty of the habit to delve deeper beyond stuff) – was she being nice because I still remember her (I was the one who first rang her when I had settled into my new endeavour) or because I was an open bait, someone to “tap onto” for more business dealings? I felt bad for letting the latter filtrate my mind. Keeping my heart open and fingers crossed, telling myself it’s the former. 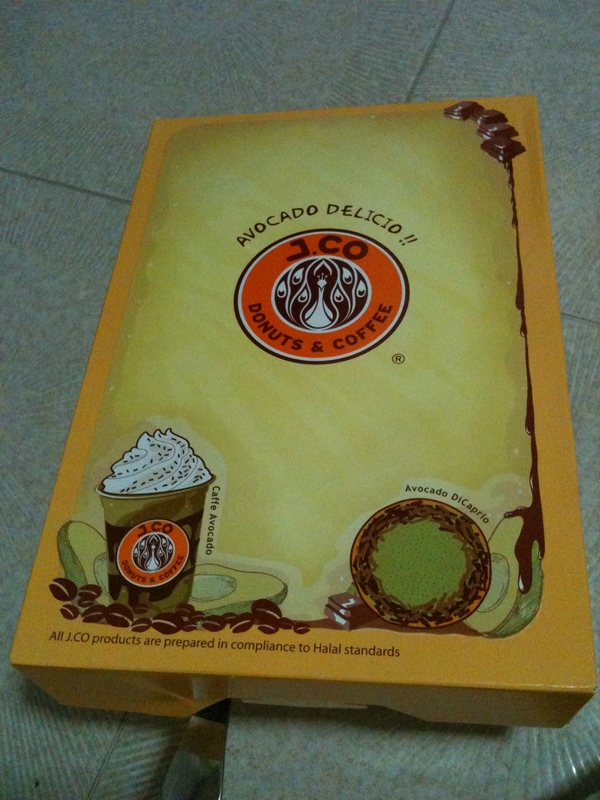 J. Co. Donuts... missing the coffee though.. heh! Our Supper YUMS! 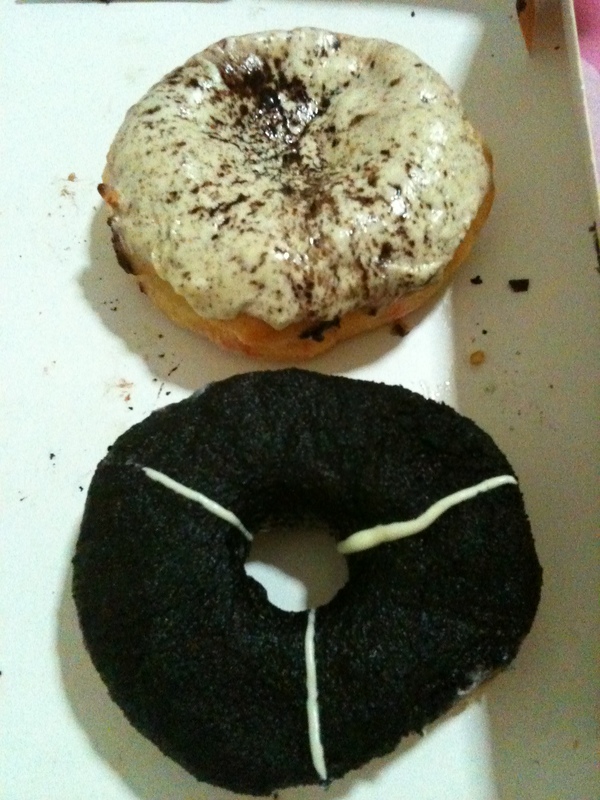 The Oreo one was MINE!! Wahahaha!